Changes in the workforce are everywhere: shifts from office-based hours to remote work, from fixed to flexible schedules, and from lifetime employment to shorter-term engagements. These changes are sparking debates among United States presidential candidates, as well as within companies and communities worldwide. 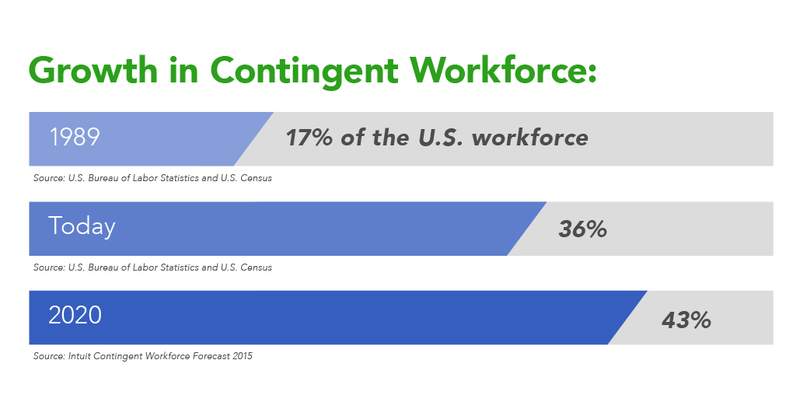 One of the most significant shifts relates to the rise in self-employed, freelance and independent contractor work. The data is startling: the US Bureau of Labor Statistics indicates that this section of the workforce has increased from 17% in 1989 to 36% today, and is expected to rise to 43% by 2020. In other words, nearly half of the entire American labour force will be self-employed. The diversity of people participating in the freelance economy is also astounding. It includes people with a wide range of skills, experiences, perspectives and abilities to engage: full-time professionals, individuals who take on side jobs (often in addition to traditional employment) to earn supplemental income, parents who prefer to work around their children’s schedules, elderly people who would like to remain partially engaged, and many others. 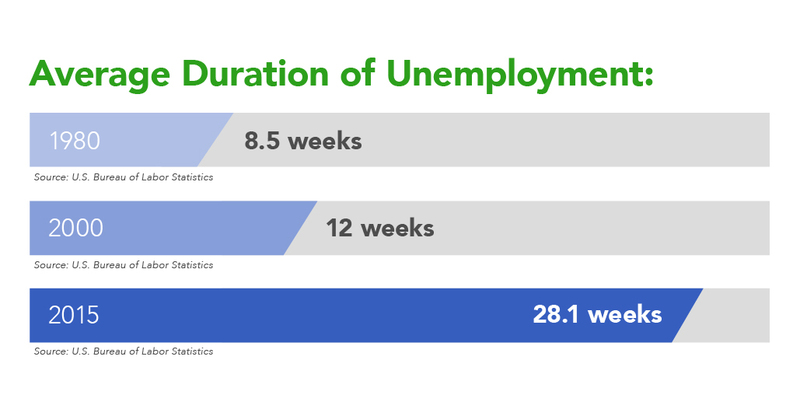 Given the significantly longer average time of unemployment (a nearly four-fold increase from 1980, to 28.1 weeks) freelance work is a boon for people who need to earn temporary income. Interestingly, workers who also have some kind of traditional employment arrangement are not included in official statistics – so the tremendous growth rates may in fact be understated. Many people are opting-in to self-employment thanks to its flexibility. Generally speaking, a self-employed worker can set their own hours, select work that they enjoy and be their own boss. At the same time, self-employment requires additional responsibilities. Unlike traditional employment, self-employed workers are responsible for paying their own taxes, obtaining appropriate personal and business insurance, and relying on their own resources in the case of emergency or illness. In other words, today’s flexibility requires trade-offs. These trade-offs are increasingly thorny, and the subject of increasing attention by policy-makers and CEOs alike. An economy in which 43% of the labour force lacks adequate disability insurance, retirement savings vehicles or other social benefits is in a precarious position. Unfortunately, at the end of the day, society as a whole pays for these policy shortcomings through increased taxes, social strife or other undesirable outcomes. But it doesn’t have to be this way. What can be done better? Several companies are now focused on meeting the needs of the self-employed. For example, Intuit has long focused on self-employed tax solutions and is playing an evermore important role, not only in tax compliance but in thinking through some of the pressing policy issues. The Freelancers Union offers health insurance products and other supporting services specifically for the self-employed. And FlexJobs (founded by Young Global Leader Sara Sutton Fell) provides a platform to find a range of professional freelance opportunities. Notwithstanding these model organizations, we must address significant long-term challenges for the flexibility of self-employment to reach its full potential. Policy-makers must meet the challenge, acknowledging that even though we don’t have complete information – never have and never will – we must nonetheless begin updating policies to reflect today’s economy. We must also start creating innovative benefits for the self-employed. These benefits should be transportable: they should “follow the worker” (rather than being attached to a particular job, app or company). We should also invite leading companies and organizations (such as Intuit, Freelancers Union and FlexJobs) to think about how they might help bridge the gaps for both the self-employed and the public sector. Self-employment will play an increasingly important and powerful role in tomorrow’s economy. Traditional benefits structures are already showing signs of age, and within a generation they may be largely defunct. It is time to chart a course that uses human talent to its full potential, self-employed or not, and creates a more flexible and stable future. How severe are the effects of post-crisis job losses? Are robots really coming for your job? Author: April Rinne is a Young Global Leader and head of the World Economic Forum’s Sharing Economy Working Group. She is an independent adviser to sharing economy companies, policy-makers, governments and investors worldwide. The future of work is a key focus area, and she has done work with Intuit.